The Kaufman Organization has refinanced its Madison Square Portfolio in a $60 million deal with Asian investment giant, China Orient. The total recapitalization was for $143 million with China Orient putting up $60 million in equity, said a spokeswoman for Kaufman. The four-building office portfolio was part of a job lot of Frank Ring buildings Kaufman bought from Extell 2014 and redeveloped as part of a strategic rebranding to attract TAMI tenants. 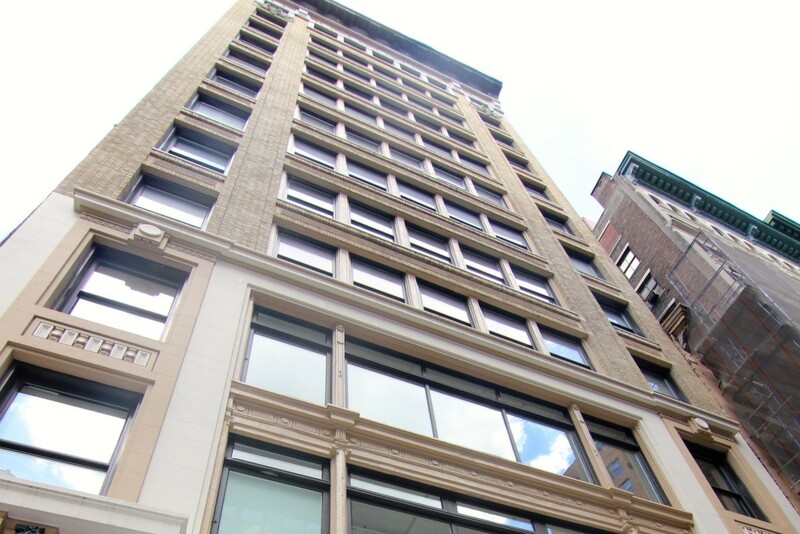 The Madison Square Portfolio consists of 19 West 24th Street (19W24), 13 West 27th Street (13W27), 45 West 27th Street (45W27), and 119-125 West 24th Street (119W24). The portfolio underwent an extensive capital improvement campaign, including interior and exterior renovations, converted heating systems, modernized elevators, installation of secure fiber optic connectivity, and the creation of ground-level retail storefronts, transforming the portfolio into the most technologically advanced, state-of-the-art collection of properties in the submarket. The reposition drew a roster of tenants from a broad spectrum of industries, including consumer products, social media, fin tech, fashion, broadcast media and architecture. “We are excited to have China Orient join us as a partner for Madison Square Portfolio, as this highly successful transaction will take the Midtown South office buildings to the next level,” said Fredric J. Leffel, President of Kaufman New Ventures. Leffel spearheaded the recap with Michael Kazmierski, vice president of Kaufman New Ventures and Steven Kaufman, president of Kaufman. The recapitalization of the 352,658 s/f portfolio reorganizes the ownership structure for the long term future.Kaufman will remain as an operating partner of the portfolio, while the firm continues to execute final lease-up and introduce additional, value–add initiatives. “The Kaufman Organization is a long term owner and investor in commercial property and sophisticated in its ability to reposition commercial office properties such as their Madison Square Portfolio, making them an ideal partner for China Orient on this transaction,” said Roy Chen, Managing Director and Head of US Real Estate of China Orient. Kazmierski said both Kaufman and China Orient are committed to maintaining the high standard of tenants within the portfolio, making the buildings ideal office locations for small and midsize tenants in the Nomad and Flatiron submarkets. “The Kaufman Organization continues to be a leader in Midtown South having acquired, redeveloped and leased over half a million square feet of commercial space in the last 24 months. We look forward to continuing our commitment as one of the most active investors in the market,” added Kazmierski. Madison Square Portfolio is located in Manhattan’s Midtown South office market, one of the most desirable locations for office space. Each property is outfitted with unique touches that mirror the creative vibes of the NoMad and Flatiron Districts, including 70 distinct pieces of art commissioned by renowned contemporary artist, Skott Marsi in the elevator shafts within the portfolio. “We are proud to continue the lineage and legacy of the Kaufman Organization with our longstanding tradition as a premier owner and operator of commercial real estate in New York City.” said Steven Kaufman, President of Kaufman.